Michael Jackson was more than a celebrity in my home while I was growing up. He was a part of our lives…my life. He was the first musician I loved and whose album I bought on my own. I learned to dance to Billy Jean, Triller, Bad, and Don’t Stop Til You Get Enough. I knew how to moon walk before I was 10. Some of the best memories from my childhood were spent with my family dancing and goofing off with MJ playing the background. I got to stay up late to watch the world primere of “Black or White” and “Remember the Time” – I thought music videos as we knew them were changed forever. I have watched the entire Smooth Criminal video over 100 times. I spent a whole summer skating to the nearest USPS box to drop off a letter every day to MJ. I sent the letters to Neverland Ranch…I never got a response. Now that he’s actually gone, it brings a very surreal feeling to me. I feel like he’s actually been dead for a long time or he’s some ancient artist that never really existed during my time – like Elvis or the Beatles. I was never waiting for him to release a new song that was going to change my life. Most of the music I loved from him was made before I was born or just a child. The Michael Jackson that I loved was not the Michael Jackson that died last Thursday. 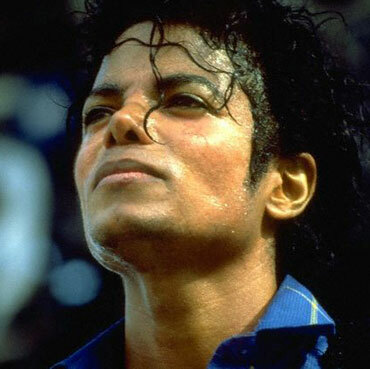 The Michael Jackson I loved has been gone for a long time. So…I didn’t cry much (only once), I don’t watch any of the commemorative TV specials, and I don’t care if people make crude jokes about MJ. His music will still have a place in my heart the same way it has my whole life. On Saturday, Mark and I attended the much dreaded Childbirth class at our hospital to prepare ourselves for the coming of our baby girl. As horrific as the videos were, we actually left the 8-hour class feeling really good and much more prepared for what awaits us. There are so many important moments and events in our life that don’t come with an instructional class which makes me think – childbirth must be the most important event of them all. We will observe many weddings, funerals, graduations, and anniversaries…but this special event of childbirth requires a miracle to make it happen. As my due date quickly approaches (JULY 24), I am realizing that my life will never be the same. It is a new life in every sense of the phrase – a new life in my baby girl, a new life for me, a new life for Mark. We are leaving our beloved church family at ORCC to following God’s calling to help start a church plant – Life Song Worship Center. Kick off day is Sept. 13th. Mark will be leaving his job that he loves in order for us to plant this church. Appliance repair anyone? Every room in our house has been reorganized and flooded with baby stuff. June already has more belongings than Mark and I combined. It’s like we are living in a new house. That’s really all for now. We desperately need your prayers. The things listed above are requiring a huge amount of sacrifice, tears, and commitment from us. We won’t give up, we won’t back down, we won’t relent. However, I consider my life worth nothing to me if only I can finish the race and complete the task the Lord Jesus has given me…the task of testifying to the gospel of God’s grace. -Acts 20:24 (I have this verse tattooed on my wrist…it has never meant more to me than right now).